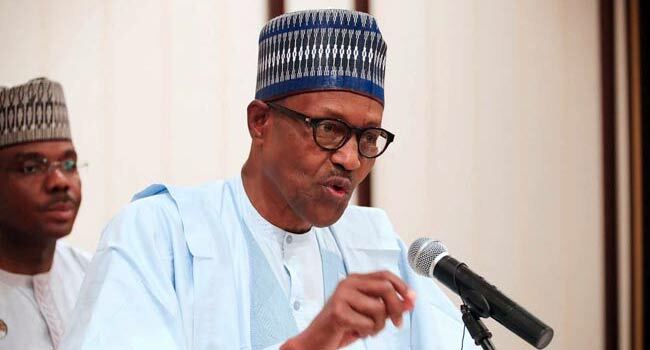 President Muhammadu Buhari has appealed to ordinary Nigerians to ‘stop glorifying thieves’ by treating them with disdain for bringing hardships to others. He, however, assured the people that the All Progressives Congress (APC) led Federal Government would ensure that the challenges the nation is facing do not last forever. The President gave the assurance in his Sallah message to the people, to mark the end of the Ramadan fasting period. “These pains are temporary, the APC administration which I am privileged to lead, is beholden to the ordinary Nigerians and will leave no stone unturned to make their security, welfare and happiness our priority,” he said in a statement on Thursday by Mr Garba Shehu, his Senior Special Assistant on Media and Publicity. President Buhari further stressed the importance of putting the virtues of Islam into practice beyond the fasting season and congratulate the Muslims on completing “this spiritually significant month of sacrifice. He, however, urged them to reflect on the importance of Ramadan in becoming good ambassadors of Islam at all times. “If people allow the teachings of their religions to influence their conducts, problems such as corruption, which diverts public funds to private pockets, would have been eliminated in the society,” he added. The President regretted that selfishness and greed have overcome people’s conscience so much that they don’t have moral inhibitions in the pursuit of their greed. He maintained that it was impossible to separate morality from religion, noting that removing the connection encourages corrupt leaders and other exploiters to commit atrocities against the society. “I always wonder why any true believer, be they politicians, civil servants or businessmen, would seek to make profits from the misfortunes of others”, President Buhari added. He enjoined religious leaders to always pray for peace and unity in the country and avoid making inflammatory utterances that can endanger peace or promote conflicts. In this respect, he commended the families of recipients of national honours for showing good examples to Nigerians and urged fellow countrymen and women to copy their good examples. President Buhari thanked Nigerians for their patience with his government and assured them that their sacrifices will not be in vain. He stressed that reforming a country that was pushed into near decay on account of corruption comes with teething pains.